Custom Thermo-formed From High Impact, Flexible Acrylic For An Exact Fit. If there one area of your car that takes a beating it the sills. 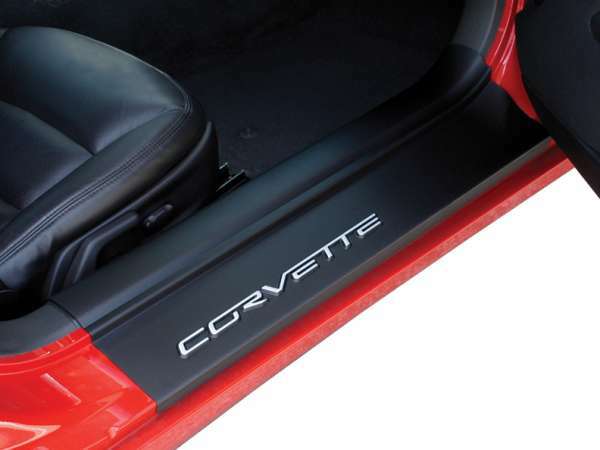 With these door sill guards, you can protect your Corvettes painted sill area and the plastic sill with a single accessory. These molded, high impact acrylic covers that are textured just enough to hide any existing scuffs. 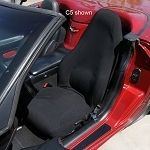 The covers mount easily with a combination of pressure fit and Velcro. 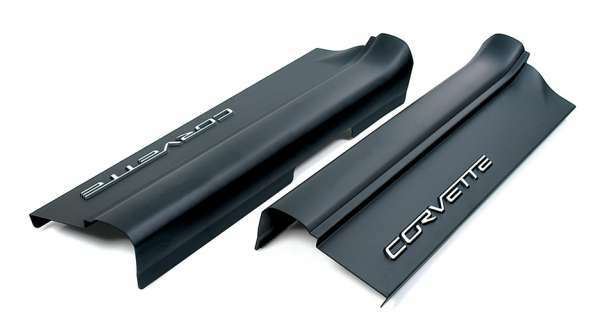 Also Known As: Door Sill Protectors, Door Sill Plates, Door Sill Covers, Door Threshold Protection, Entry Guards, Sill Plate Covers, Step Shields, Door Sill Shields, Jam Sill Cover, Step Plates, and Door Cover Step Plates. Q: Are these sold in sets? Q: Do these sill plates come lettered with Grand Sport?